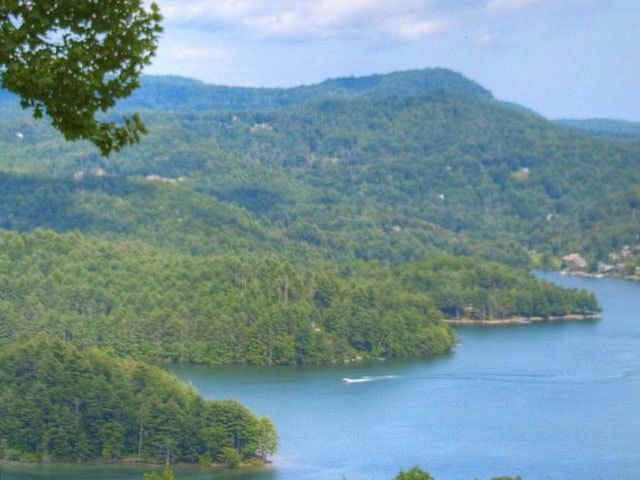 This Highlands NC home for sale, 2128 Upper Divide Road, boasts magnificent views of Whiteside Mountain. The 6 bedroom, 6.5 bath home sits on a lot that is just over an acre in size. While the home is in the Highlands Falls Country Club membership is available but not mandatory. 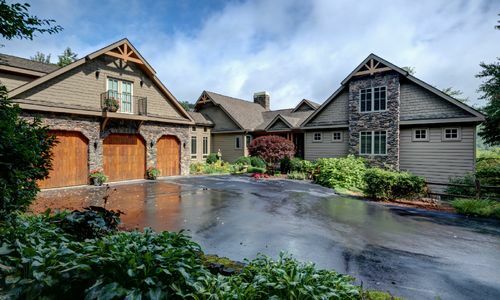 This fabulous Highlands NC property is a must-see for the discriminating buyer. This 6 bedroom Highlands NC home has been meticulously maintained home that has a fabulous floorplan that embraces views from every room. The main floor living room boasts a cathedral ceiling and a gas stone fireplace. Furthermore the home was designed for entertaining. Features include a dining area with a built-in bar and wine storage. Additionally the up-to-date kitchen is complete with a gas stove and electric oven. The lovely large screened porch is an ideal place to start the morning with a cup of coffee or end the day with a glass of wine. One highlight of this Highlands NC home is the main level master bedroom, boasting a gas stone fireplace and a loft that serves as an office or storage. Additionally the master bedroom has his and her closets and a luxurious master bath. Upstairs is a spacious guest bedroom and bath. The lower level has another living area as well as four more guest bedrooms, four baths, and a large screened porch. 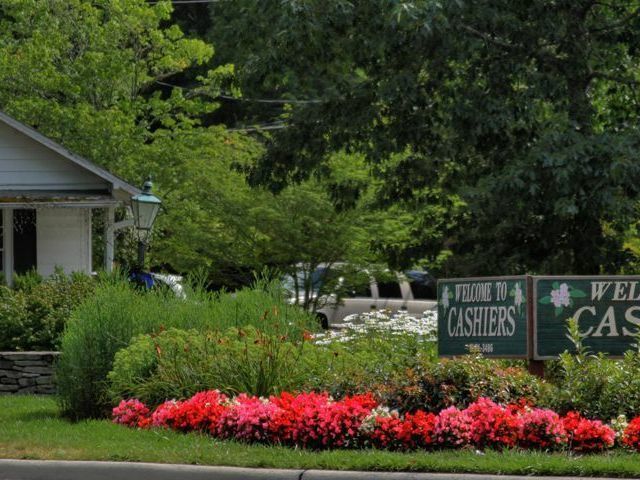 This beautiful Highlands NC home is beautifully landscaped and very welcoming. The home is also being sold furnished. However the golf cart not included. 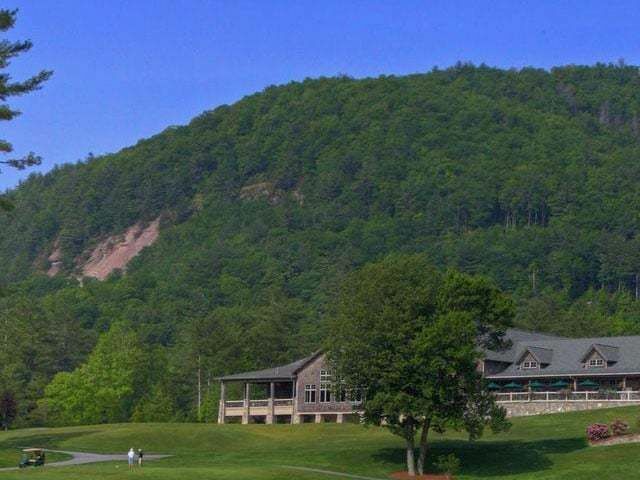 Contact your Highlands NC REALTOR today to learn more about this fantastic Highlands Falls Country Club listing. Schedule a private showing of 2128 Upper Divide Road today! Contact our team at Berkshire Hathaway HomeServices Meadows Mountain Realty today to schedule a private showing of 2128 Upper Divide Road. 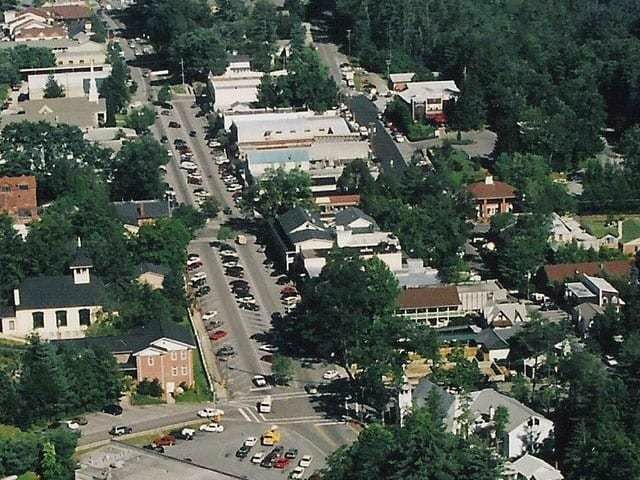 We welcome the opportunity to help you with your Highlands NC property search. Let our knowledge and experience serve as your guide to Highlands NC real estate, locating the ideal Highlands NC home for sale for you and your family.